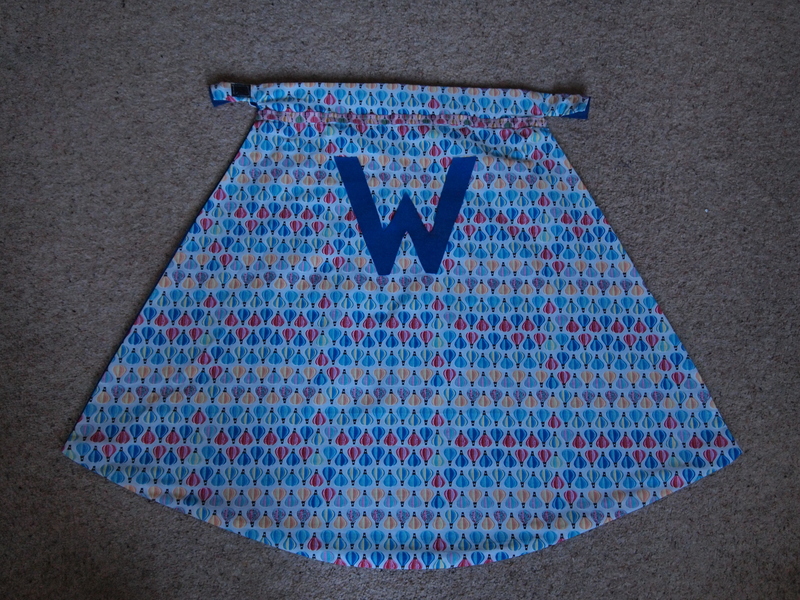 Inspired by a pinterest pin from the longthread blog, I decided to make my son a cape for his Welcome Party (way back in September 2014). 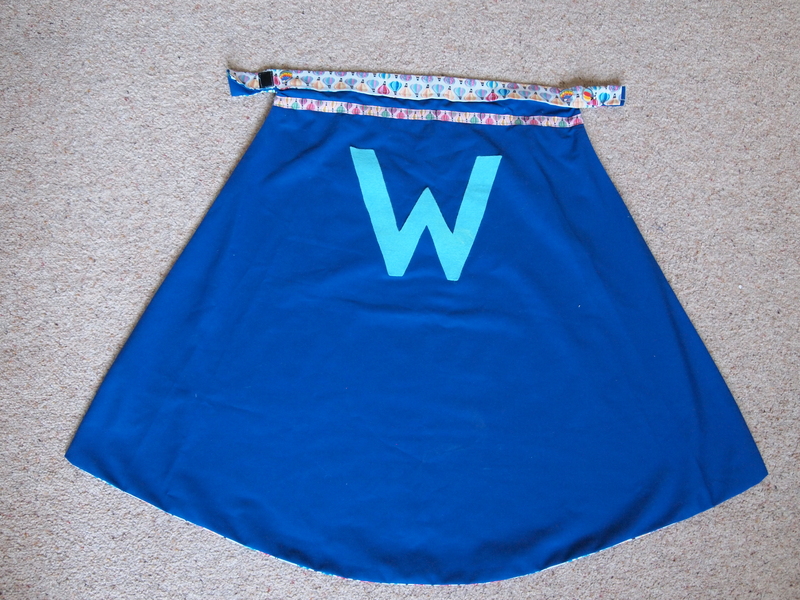 I used the pattern from the longthread blog HERE and adapted it slightly to fit and added the letter W and some ribbon and buttons to decorate the cape, I also decided to make the cape reversible. Below are some photos of the finished product. 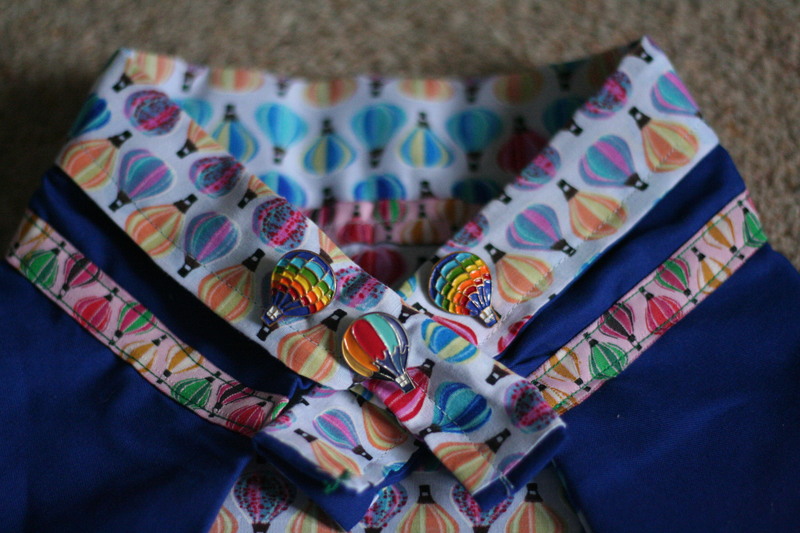 This entry was posted in Design / Arts / Crafts and tagged Baby, Cape, Child, Children, fabric, Hot Air Balloon, Party, Sewing, Toddler, Welcome Party. Bookmark the permalink.